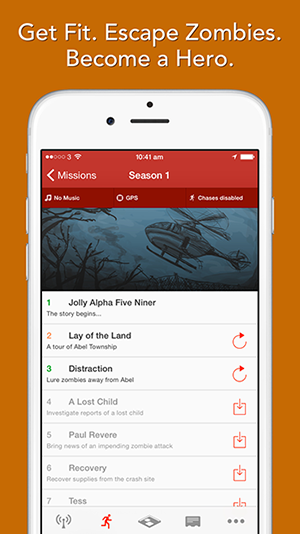 Version 3.2 brings full compatibility for iOS 8 and more – Zombies, Run! Runners, check your app store! We’ve updated Zombies, Run! to version 3.2, which makes it fully compatible with iOS 8. Not only that, but those of you with the iPhone 6 or 6 Plus will notice the app has a newly optimised layout for your device. There are also a number of minor bug fixes and improvements to your overall experience. Don’t forget that we’ve also got some new T-shirts available for a limited time on the Zombies, Run! Teespring store. 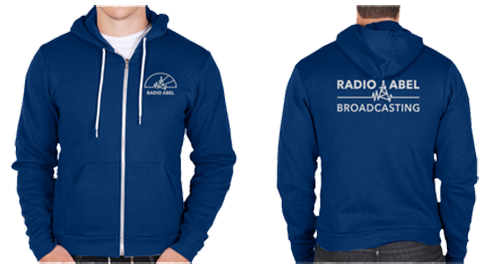 This includes the Radio Abel hoodie, which we’ve also decided to reprint for a limited time in new colours, and the classic Runner 5 Halloween design. These will be available, along with our awesome Zombies, Run! poster, until the middle of next week. Make sure you don’t miss out by ordering today!